AMD FirePro S10000 12 GB Edition graphics card is designed for high performance computing workloads for single and double precision performance. 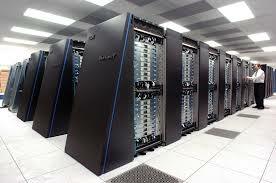 The GPU will made available in 2014 aiming at operations on big data. With full support for PCI Express® 3.0 and optimized for use with the OpenCL™ compute programming language, the AMD FirePro S10000 12GB Edition GPU features ECC memory plus DirectGMA support allowing developers working with large models and assemblies to take advantage of the massively parallel processing capabilities of AMD GPUs based on the latest AMD Graphics Core Next (GCN) architecture. The current AMD FirePro™ S10000 graphics solution with 6GB of GDDR5 memory has received great acclaim. The University of Frankfurt’s Institution of Advanced Studies use of the card with the SANAM supercomputer is an instance where the 6GB GPU is used. The SANAM supercomputer ranks in the top five on the Green500™ List as one of the most powerful and energy-efficient supercomputers powered by graphics processors.